It seems like just yesterday that I was a disconnected nomad working hard to maintain the status quo and conform to a rigid system commonly known as education. You see, prior to 2009 I was adamantly opposed to even the thought of using social media for both personal and professional reasons. As a building level leader burdened by endless responsibilities, I could not fathom wasting even a precious minute in what I saw as a perpetual time sap. I swore that I would never be on any social media site and became disgusted when friends and family brought up the topic. As a result I chastised my friends and made sure that the environment at my school was not only free of this stupid entity, but also other forms of distracting technologies that would interfere with student learning. It was a powerful combination of perception and stigma related to social media that convinced me it was a product of the devil that could only bring about harm and misfortune. Thus I was convinced that there was absolutely no value in using social media in my life. Being a disconnected nomad limited my ability to lead and learn. We fear what we don't know or understand. When this happens we make excuses not to do something and in education we resort to blocking, banning, or pretending something doesn't exist. This is how I saw social media and mobile technology back in 2009. The problem is that the majority of educators in 2014 still feel this way. The epiphany for me was that I saw a professional opportunity in Twitter to improve communications with my stakeholders. From here I began to lurk and learn, which resulted in no longer being a disconnected nomad. My problem, as I now often reflect back upon how I used to perceive social media, was that I was not educated on how this tool could improve leadership and learning. Here is what I now know and believe. Social media is just a catalyst for conversation that is contingent upon listening, sharing, and learning. 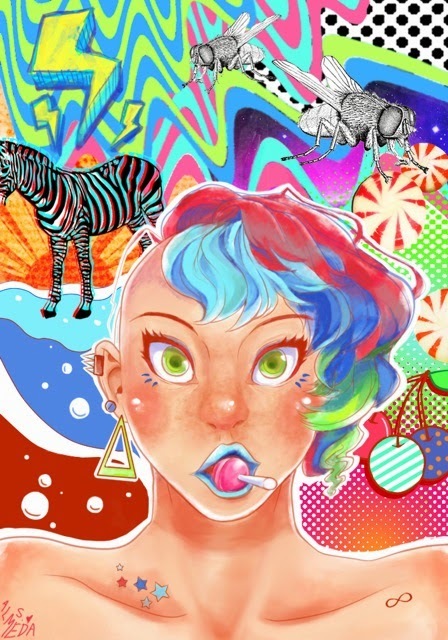 Social media, and technology for that matter, is not and will never transform education. If you are looking to these entities as a silver bullet to solve all the ills in the education world then you are looking at it the wrong way. However, engaging in conversations with passionate educators has the potential to radically transform professional practice. Thus the true silver bullet that will transform education for the better are the connected educators who harness and leverage social media to engage in powerful conversations that lead to changes in practice and the building of priceless relationships. These initial conversations then lead to changes in mindset and a push to action. Yes, this is my opinion, but one grounded in evidence of how moving from disconnected nomad to connected leader and learner has positively impacted my professional practice. The formation of a Personal Learning Network (PLN) using free social media tools has enabled me and so many other educators experience the immense benefits that are associated with connected learning. The ability to learn about anything at anytime, anywhere, and with anyone has not only been liberating, but continues to be exhilarating to this day. Social media levels the playing field by providing access to educators from across the globe. It is up to each individual to decide the level of participation in this space. As far as I am concerned any of the quadrants in the image below are where educators should aspire to be in except for the one where there is no connectivity. I offer up this walk down history lane as a call to action. There still are too many disconnected nomads leading schools and teaching our students who have yet to experience the unlimited potential that connectivity offers. I am in no way saying that these people are not good at what they do, but they can be better. What I am stating emphatically though is that they are selling themselves short by succumbing to fears and misconceptions associated with social media. Help those disconnected nomads you know experience the value of social media this school year. Once they experience and embrace the value of this tool to engage in powerful conversations education will be one step closer to providing students with learning experiences they need and deserve. I absolutely love this quote that Vicki Davis (@coolcatteacher) uses in the opening chapter of her new book titled Reinventing Writing. I have seen all too often technology just get dumped on teachers and schools with no rhyme or reason. This often produces a disastrous effect as the pedagogy does not support the use of the technology tool in arriving to or assessing learning outcomes. Educators today are pressured to integrate technology as society becomes more digitized. With schools becoming more and more connected and spending countless sums of money to provide adequate amounts of technology educators are becoming increasingly overwhelmed. The missing link is guidance on how these tools can be used effectively and appropriately to allow students to create artifacts of learning to demonstrate conceptual mastery. Educators want to desperately see and know how technology compliments and/or enhances the work they are already doing. Vicki Davis has created a resource that identifies how traditional writing can be taken to the next level with cloud-based tools. Students today are using technology to write outside of school, but more often than not they are not using them correctly or appropriately. Reinventing Writing sheds light on practical ways for teachers to integrate a wide array of tools, Common Core alignment, and tips to avoid pitfalls. The book is broken down into three main parts. 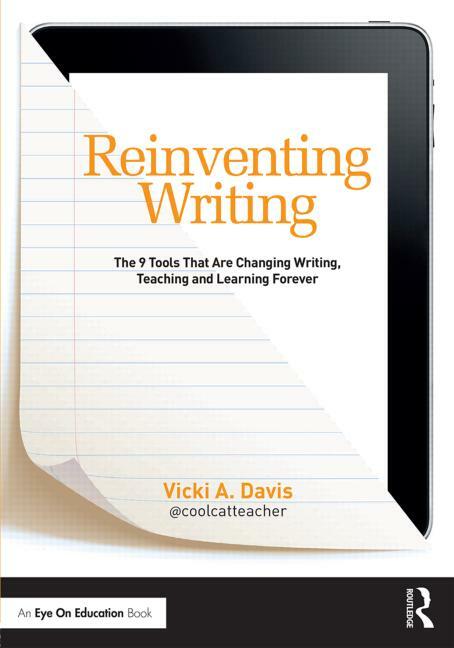 In chapter 1 Vicki identifies compelling reasons how new age tools improve student writing by identifying five specific benefits. Chapter 2 focuses on the elements associated with picking the right tool to complete a specific writing task. I loved the fact that Vicki created 20 essential questions for teachers to use in order to identify the perfect tool to complete a specific writing task. This alone takes away a great deal of anxiety often associated with technology use as there are so many tools readily available to teachers, many of which are free. There are often many fears and misconceptions associated with technology, especially cloud-based tools. Well Vicki has that covered as well in chapter 2 as she addresses CIPA, FERPA, and HIPAA. This is all just part 1! The third and final part of the book focuses on practical ways to implement the tools in the classroom. Here Vicki emphasizes the key elements to promote and enhance digital citizenship among learners. This is extremely important as working with online tools that focus on writing provides some new challenges for teachers and students alike. She then goes on to discuss how to set up writing communities that truly foster collaboration. The book concludes with a grounding in setting realistic goals in order to consistently push the innovative envelope when it comes to writing. All in all this is a must have resource for teachers at all grade levels. If you are a building-level leader do yourself a favor an purchase a copy for your school.